Klika Hotel is located in the historical center, just a 3 minute walk away from the main square Přemysl Otakar II., which is the largest squared square in Central Europe. Samson´s fountain situated right in the middle of the square is the largest of its kind in the Czech Republic. We also recommend to climb 225 steps to the top of the Black Tower to look around, you will have a breathtaking view of the city from the height. Newly renovated Roman Catholic Church of St. Nicholas is located right next to the Black Tower. You can also visit the local Town Hall built in Baroque style. 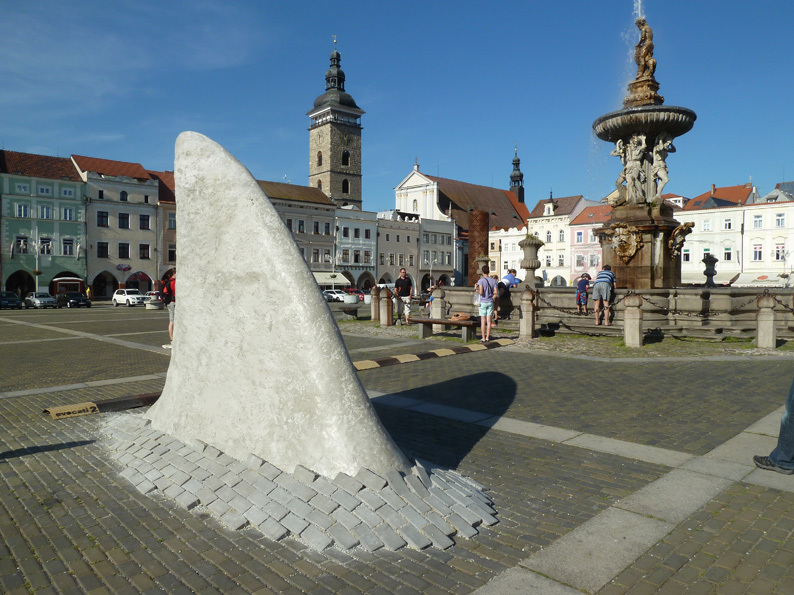 However, the most important monument you will find in the Piaristické square, directly adjacent to our hotel. 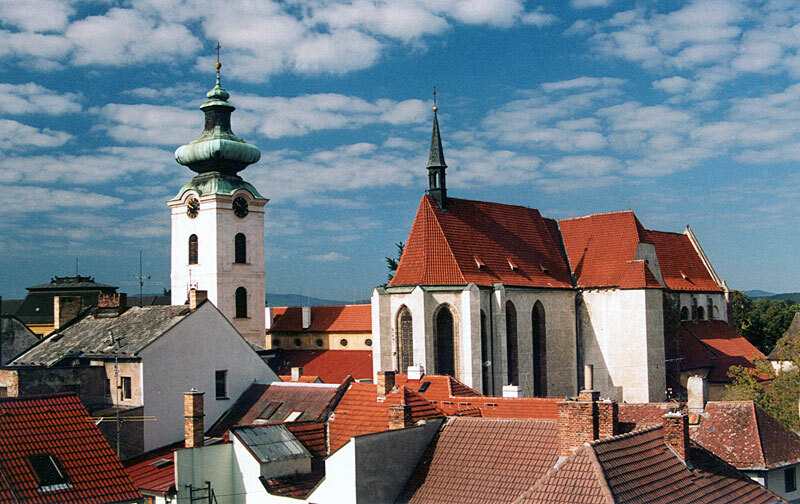 This is the monastery church of Virgin Mary, which is the oldest building of České Budějovice. You will find the largest frescoes in the Czech Republic from the 14th century in there or the cross corridor of the neighbouring Dominican monastery with a garden and an enormous energy. It is also worth mentioning another adjoining building - Salt House, which was built in 1531 served as a warehouse of salt. 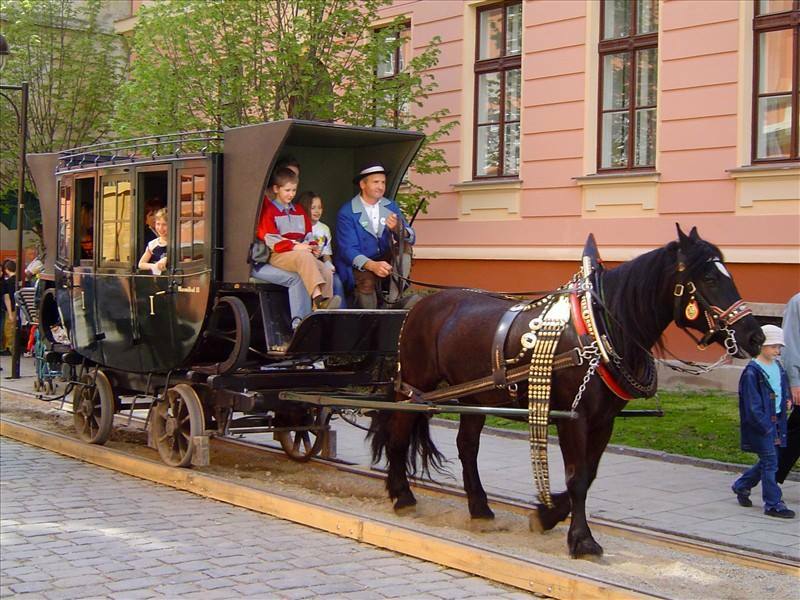 It was linked by a first ever horse-drawn railway in Europe connected with the Austrian city of Linz. On the other side, the hotel is surrounded by a beautiful and peaceful nature, which invites you to visit and relax. The Sokol Island offers a public swimming pool with fitness and wellness center where you can relax during whatever weather outside or inside. 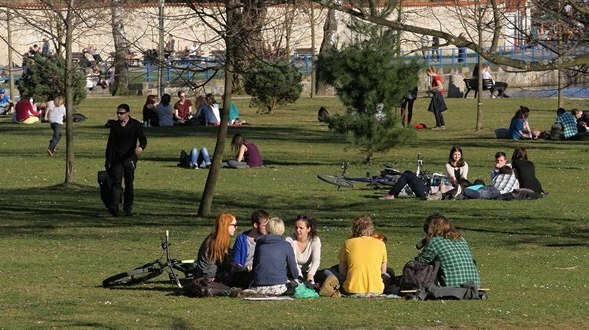 Then there is the Sokol athletic field, tennis courts and many sports facilities as well as the park suitable for a picnic or for a visit of children's playground. In summer, the island or directly the river holds several cultural events. The waterfront offers breathtaking view of the confluence of the Vltava and Malse Rivers. On the other side of the river is another park, observatory, sports hall, ice hockey stadium or a city park Stromovka. 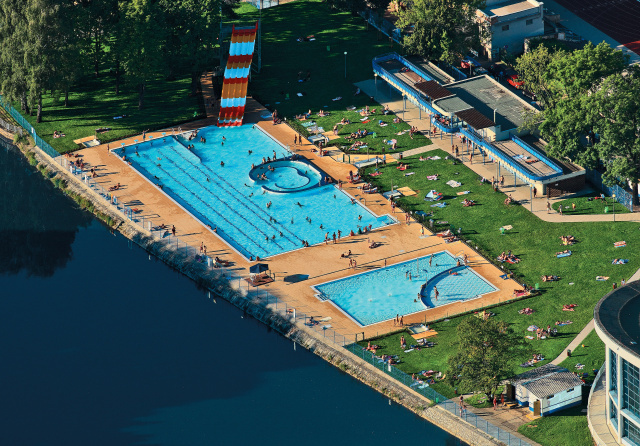 This whole area is interlaced with benches and cycling paths and is ideal for walking, cycling, inline skating or a trip on a boat or pedalo. The receptionist will be more then happy to assist you in any of your wishes. 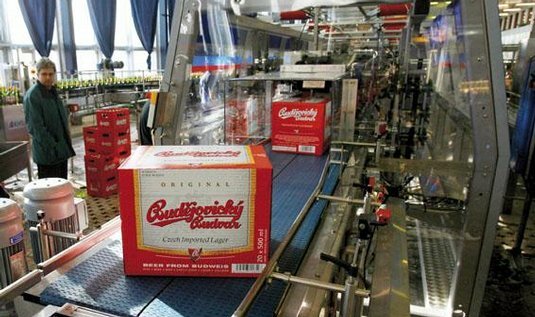 We will give you the city map for better orientation, call a taxi or book tickets to a local South Bohemian Theatre, South Bohemian museums, the swimming pool or to an excursion of the world-famous brewery Budweiser Budvar. 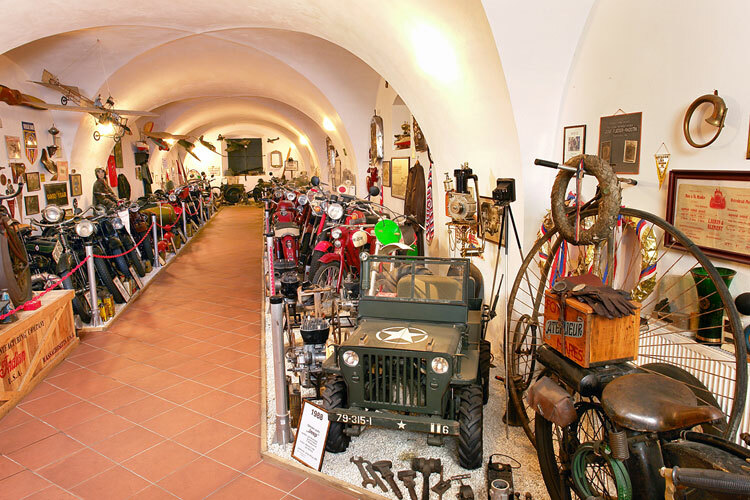 For motorbike enthusiasts, we recommend visiting Bohemian Motorcycle Museum, which is just around the corner from our hotel, and contains almost a hundred historical wheelers. Also worth visiting is a unique rotary South Bohemian Theatre in Český Krumlov. If necessary, we are able to arrange for you the Budweis Shuttle directly from our hotel, to where ever you wish. Want to know what's happening today or during your stay in the city? 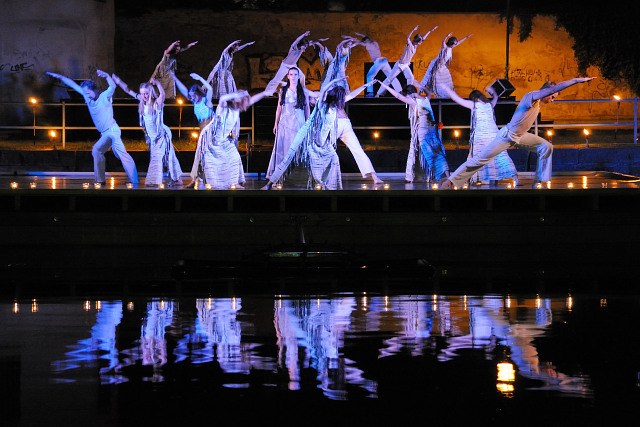 All current cultural events in the city can be found in the city's cultural program. 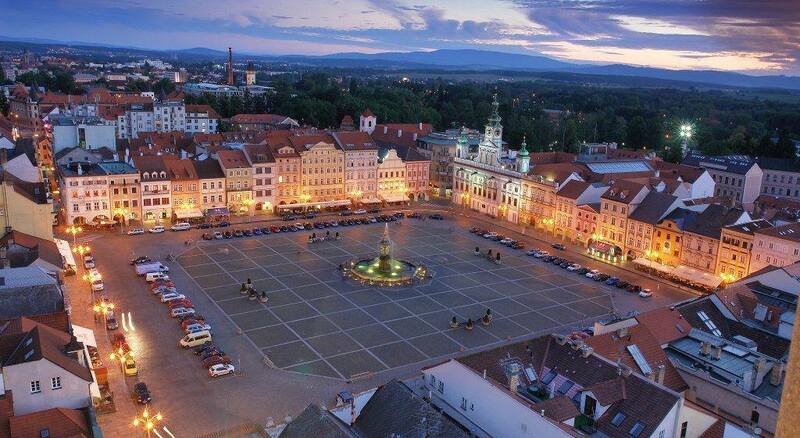 Check out our Foursquare list of the best places in town, that we recommend you to visit, while in České Budějovice. In the surroundings of České Budějovice, there is a plenty of other beautiful places, which are great tovisit by car, motorbike or bicycle. The most favorite places to visit are: Hluboká nad Vltavou with its castle, Holašovice village registered in the UNESCO list, observation tower on Kleť mountain, the famous town of Český Krumlov or spa town of Třeboň. We can arrange a guide who will be more then happy to tell you more information about all specific locations. Don't forget to check out our Foursquare list of the best tips for a trip around Ceske Budejovice which are worthy to visit. Motorcycle / Car / Bus – České Budějovice is located at main international route E55 between Prague and Linz (Austria). Once you arrive in town, drive towards the city center. It is possible to drive in directly from the Husova street. If you are coming from the main bridge (Dlouhy most), turn right after you see a sign saying Hotel Klika (second right). If you are coming from the other direction from Marianske square, turn left (there is also sign and it is second street). Hotel is located directly on the blind arm of the Malše River, just a short walk from the municipal swimming pool. The second alternative is to arrive from the main square through Hroznová or Radniční street, but this way is time-limited and it only allows cars up to 3.5 tons. For hotel guests, we have prepared a private parking right next to the hotel or a garage for motorcycles. Cyclists – arrive in the city using the international bike route #12 from Prague or Dolní Dvořiště. Hotel is located directly on a city path A (circle around the city center) along the waterfront and Sokol Island. We offer a garage for your bikes right next to the hotel and full of all the essential tools for your necessary services. Flights – closest public international airport is Linz - Blue Danube (LNZ) or Prague - Vaclav Havel Airport (PRG). There is an airport in České Budějovice as well, but it doesn't allow international flights to arrive there. This is just a national public airport, not an international one. 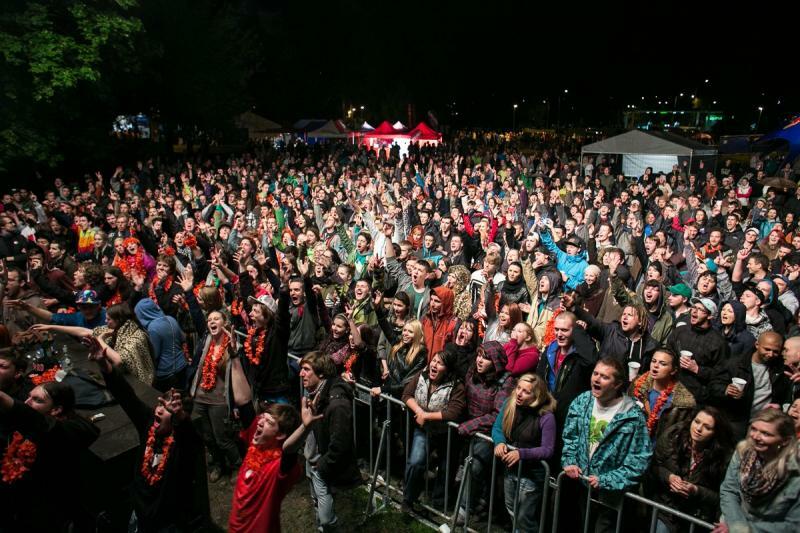 Train – the main train station is located in a Nádražní street, which takes you approx. 20 minutes of walk from us. From the station, you could walk through shopping pedestrian area Lanna street and go straight ahead until you reach the main square. Then you continue straight ahead on a Piaristické square and you find us behind. You can also use a city bus or take a taxi. Bus – the bus station is located on the roof of the shopping center - Mercury Center in Nádražní street next to the train station. We recommend, for travels from Prague or to Český Krumlov, to use Yellow buses from Student Agency. They run about an every hour. One way to Prague takes 2 hours and 20 minutes. From the station you could walk through shopping pedestrian area Lanna street and go straight all the way until you reach the main square. From there, you continue straight ahead to Piaristické square and you find us behind. The walk takes about 20 minutes. You can also use a city bus or take a taxi. Public city transport – the nearest bus stop is called "U Zelené ratolesti". From the bus stop, you only cross a little bridge over the river and keep going along it and you are right here. Approximately 5-minute walk. There are buses and trolleybuses no. 1, 3, 14 and 21 going to this bus stop. Direct connection with a train and bus station is provided by trolleys #1 and #3.